Pearl Harbor kicked started American use of dogs in the military. Seventy-two years ago today, the bombing of Pearl Harbor catapaulted the United States into World War II. Thousands of young American men enlisted. 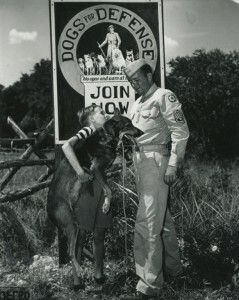 The event also inspired four dog lovers to persuade the U. S. military to put dogs to work defending the country. Using dogs in war certainly wasn’t a new idea. They have served in war since ancient times. In World War I, German, Belgian and British armies used dogs to pull guns and supplies on wheeled carriages and wagons. They located and gave comfort to the wounded, carried messages and pulled telephone lines from one spot to another. The U.S. had never had a formal military working dog training and recruitment program. There were mascots, like Sgt. Stubby in World War I, or personal hunting dogs used in the Civil War, but no official program. When Harry Cesar, Leonard Brumby, Arthur Kilborn, Dorothy Long and Arlene Erlanger met in January 1942 they were committed to changing that. 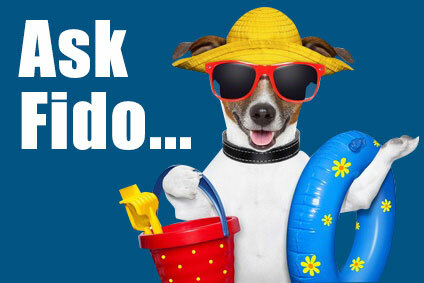 “The dog must play a game in this thing,” said Erlanger, a poodle breeder, to Kilborn, a writer for the New York Sun. They were probably the best positioned people in the country for this task. Cesar was the director of the American Kennel Club. Brumby was the president of the Professional Dog Handlers’ Association. Kilborn, besides being a writer, was a dog breeder. Long was an authority on dog obedience training. 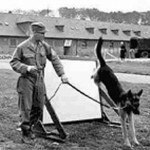 Erlanger later wrote the official war dog training manual for the U.S. Army. Three months before Pearl Harbor, U.S. Army Sgt. Robert H. Pearce had set up a small K-9 Command program at Fort MacArthur in San Pedro, according to Mark Derr, author of A Dog’s History of America: How Our Best Friend, Explored, Conquered and Settled a Continent. 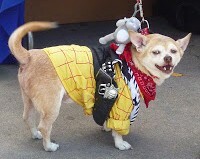 He got Hollywood dog trainer Carl Spitz involved. By January 1942, they were appealing to the people of Los Angeles to bring their dogs to downtown’s Pershing Square to see if family Fidos had the right stuff. More than 1,000 showed up, including Rin Tin Tin’s grandson. Dogs for Defense first focused on using dogs to guard U.S. borders and harbors. 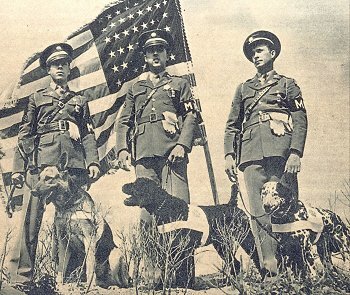 By March 1942, they had been recognized as the official agency for choosing and training sentry dogs for the U.S. Army, Navy and Coast Guard. Eventually, training was taken on by the Army’s Quartermaster Corps. The 200 dogs first envisioned grew into more than 10,400. Most were family pets shipped into national service. 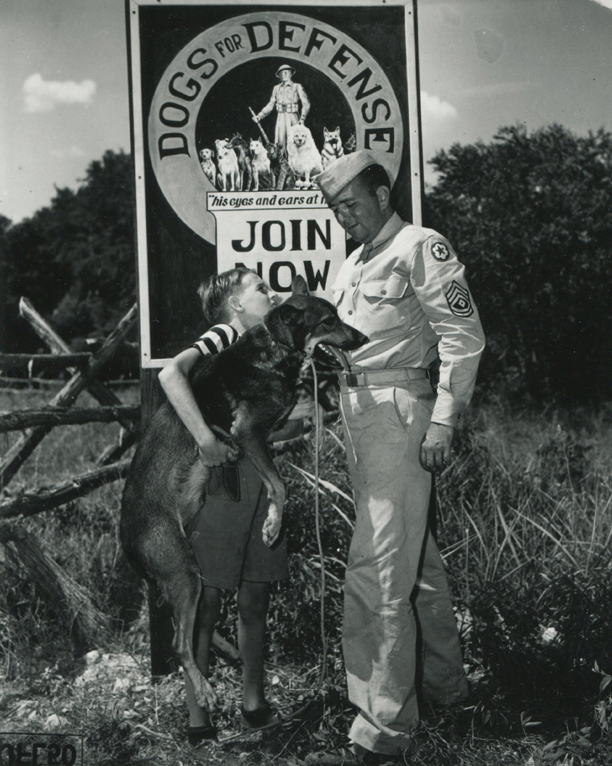 Dogs for Defense was the first — and last — large scale effort to recruit civilian dogs into military service. They proved their worth and have been used in every American military engagement since. They have proven invaluable in Iraq and Afghanistan in detecting explosive devices. So valuable that today the military buys its dogs from professional breeders and trains them in the service. Today, 341st Training Squadron at Lackland Air Force Base in San Antonio, Tex., is home to the Department of Defense Military Working Dog Program.